Ah! The memories of P.E. in school. Some memories during physical education was great such as playing games like basketball, volleyball, or my favorite, kickball! But there was some parts of physical education I hated! I hated changing clothes in front of other kids, I was often the one who was laughed at because of my size. I hated the Presidential Fitness Test. I just did not find any reason why we had to do this. The worst part was the one mile run; I was often walking. But the most dreadful thing I hated about P.E. was dodgeball! I could never play dodgeball. When I was in high school and playing this crazy game, many of the boys were throwing these balls at a high rate of speed the other way. You knew the balls were flying fast when they made a huge sound after hitting the wall. Even some of the girls were throwing these balls like they were fitness Gods! Whenever I got a ball, I was in trouble! When I threw the ball, it only went the distance of hardly anywhere! I always thought a baby could throw better than I could. I was often the one who was trying to protect myself from being hit. Yep, this was me. I always thought dodgeball should be never played during P.E. Other contact sports like football are different because you volunteer yourself to play. But dodgeball, you had no choice and that meant I was the one taken advantage of by being hit first. Since I can’t throw a ball, I was always rolling the balls back to the other side where those boys would throw at me again. Since I could not take myself out of the game, this is all I could do. I always in-vision dodgeball like in the TV show Freaks and Geeks. Yes, I am one of the geeks. 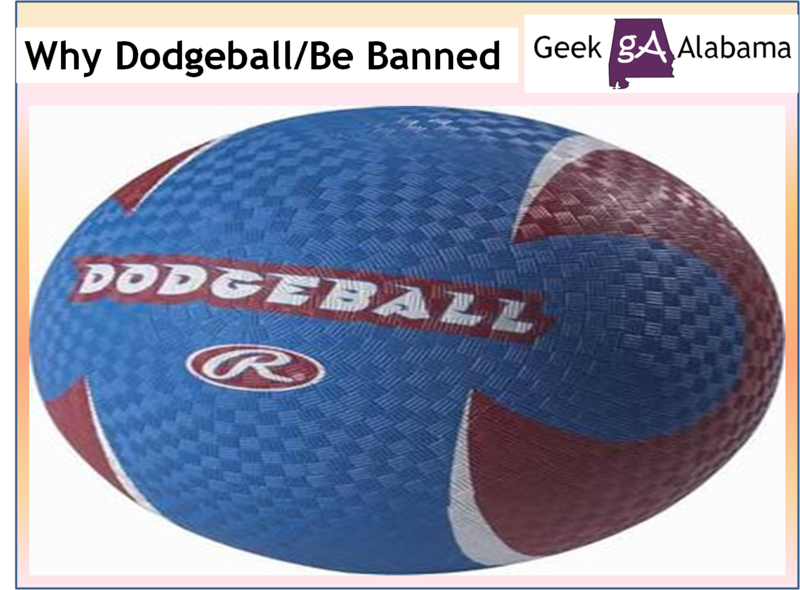 Today, Windham Schools in New Hampshire decided to ban dodgeball and other “human target” sports. Administrators cited bullying concerns for the reason to prohibit students from playing dodgeball and similar games during school hours. Even the National Association for Sport and Physical Education recommends schools take out dodgeball for good. The association pointed out that not all students are able to participate equally, since some of the players who require more physical activity are typically eliminated first. Targeting of “weaker” students was also cited as a concern. When this story came out, it did not take long for the comments to light up on social media. Lots of people down here in Alabama have commented that eliminating dodgeball will result in a nation full of sissies. Or people in this country will end up being nothing but a bunch of sensitive pansies, really? Someone said we should just wrap our precious offspring in bubblewrap and admit that we are all sissies. And my favorite, Let’s ban the Easter bunny. Let’s ban dodge ball. Let’s ban guns. Let’s ban big soft drinks. Let’s ban salt. See? This is what you get when liberals are in charge. 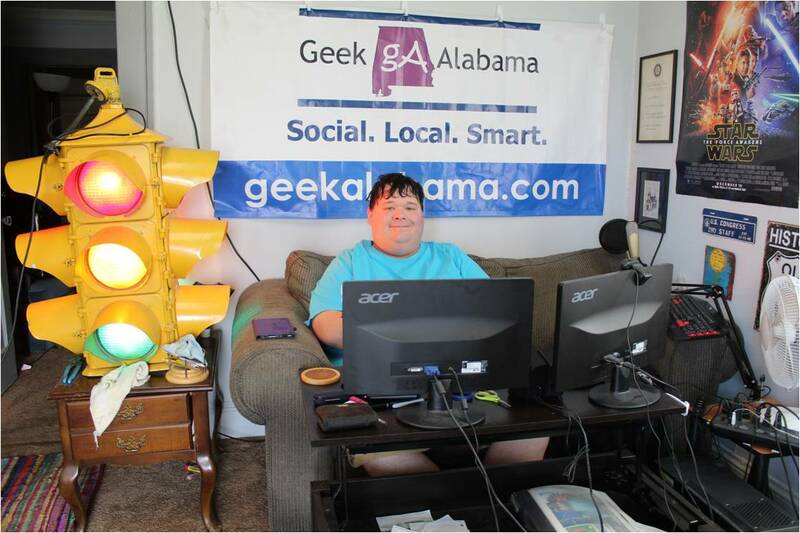 Can’t people in Alabama ever get off politics? Some of the critics of promoting dodgeball says the game promotes teamwork and sportsmanship, just like any other sport does. And dodgeball is a learning game, it builds hand/eye coordination and teaches teamwork and sportsmanship, as most games do. So these people are saying getting hit in the face by a ball at high-speed promotes sportsmanship? I can see why dodgeball does promote bullying. The people doing the bullying will go after the people being bullied first. And you know they would love to hit the bullied people hard. Some people say the people being bullied needs to defend themselves and tuffen up. If that worked I would not have been bullied all the way through high school! People say competition is a part of life and parents should prepare their children to understand and deal with it in the proper way. I always hear people saying bullying is everywhere, school, work, etc. It has been for hundreds of years and will continue for hundreds more. I am one of those people who has been bullied even to this day at age 26 due to Asperger’s Syndrome. I wish the world would be a more peaceful place. If dodgeball is causing bullying in schools, it needs to go! No question about it! You and I see things a little differently, but I enjoyed reading your thoughts. For the record, I was probably an average dodgeball player in school. I sucked in dodgeball and was often taken advantage of because of this. I know, some people love their dodgeball and I love watching the dodgeball leagues. But the leagues are different because you are volunteering and wanting to play. I would be the one taking the pictures. Thanks for commenting!